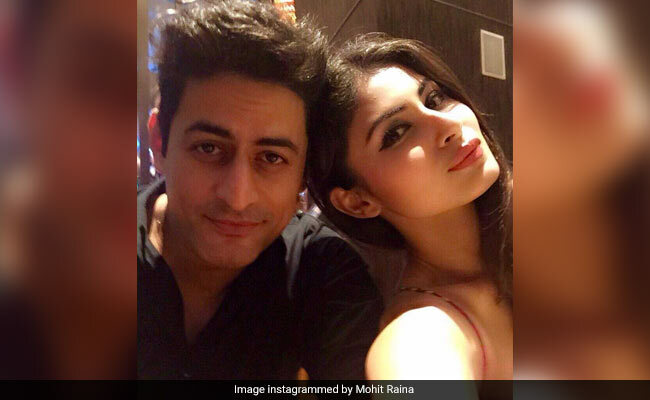 Amidst all the break-up reports, rumoured couple Mouni Roy and Mohit Raina posed for a perfect selfie together. Picture of the duo, which is now viral has been shared by Mohit on Instagram, who shared the screen space with Mouni in TV show Devon Ke Dev... Mahadev. In the picture, Mohit and Mouni are all smiles and look absolutely stunning together. Mohit's heartfelt caption for the picture, which read: "Dil to bachha hain ji" with heart emoticons, won our heart completely. The rumoured couple have been dating for a while now but have never acknowledged the rumours. 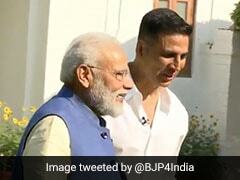 Reports of their break-up kept trending some months ago. However, this picture tells a different story. Mouni and Mohit's fans are glad to see the two of them together and comments such as "Perfect couple.. both are complementing each other.. hoping to see your real life wedding pic," "Best jodi" are flooding the feed. Mouni and Mohit also enjoyed the Diwali festivities together. 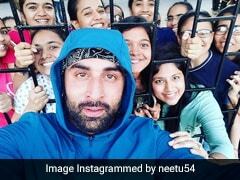 The pictures feature TV stars like Karanvir Bohra and Karishma Tanna and Mouni can be seen holding Mohit. Mouni, 32, and Mohit, 35, appeared together on the show Devon Ke Dev... Mahadev, where Mohit played the titular Mahadev and Mouni was seen as Devi Sati. Mohit, who maintains an extremely private life, earlier told TOI, "I prefer to keep my personal life separate and don't want it under media glare. It doesn't really remain the same if it's completely out there. I have never even brought my mother or any other family member in front of the camera despite many requests." Mouni, who is popularly known for her role in TV show Naagin, will make her foray in Bollywood with Akshay Kumar's Gold, which releases in August next year. She will also feature in much-awaited film Brahmastra, co-starring Ranbir Kapoor, Alia Bhatt and Amitabh Bachchan.